Since 2008, Caminito Amigo has spread the joy of Argentine Tango to the DC Metro area. 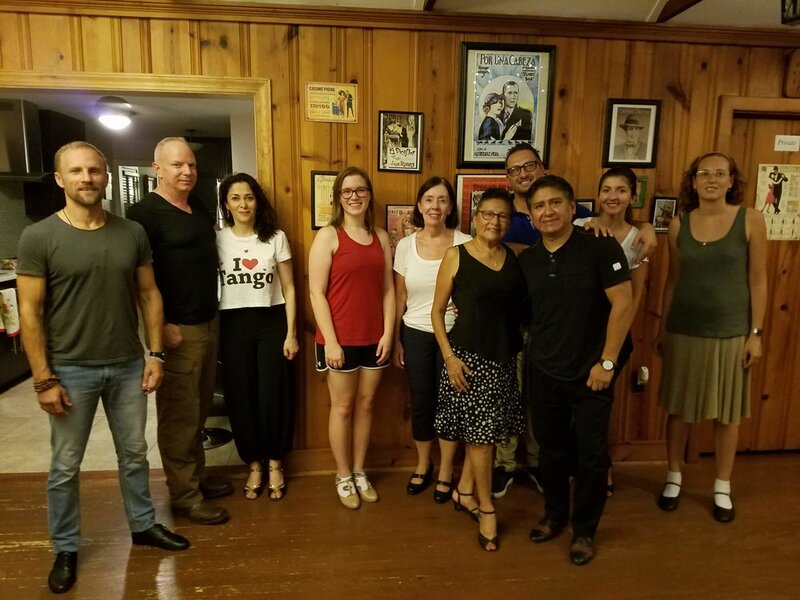 Located in Kensington, MD, Caminito Amigo holds tango classes, practicas, milongas, hosts Master Argentine Tango guest teachers and organizes special events like Asados (Argentine BBQ) and other cultural events surrounding Argentine Tango. Our mission is to dance the best traditional Argentine Tango, with a firm embrace for better connection and proper posture for better balance. 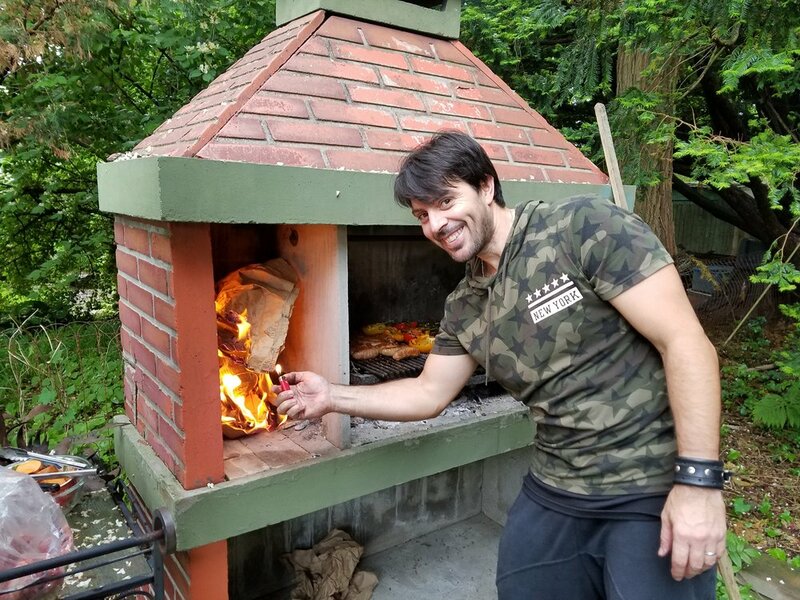 Our guest Master Teachers from Buenos Aires maintain us on the right path. Dance with us just like in the milongas of Buenos Aires. Make your dance a special one which is slowly savored. From beginner to advanced, everyone is welcome. There are many ways of dancing Tango. Caminito Amigo teaches a simple elegant salon style or what is called in Argentina, Milonguero style. Tango is a feeling, a "sentimiento" that you dance to. When you start the dance, you do not start with a step, you start with a feeling. Julia Elena is in constant search of the traditional Argentine Tango. Born in Arequipa, Peru, she loves art, healthy cooking, wine, music, gardening, exercising and of course hosting friends. She has been a fashion designer and bridal boutique owner and is now retired. Her new passion is sharing and hosting Master Teachers from Buenos Aires at Caminito Amigo. She also likes to do Argentine Tango presentations for seniors at senior centers. She adheres strictly to the traditional style of Argentine Tango. She hosts and recommends only those teachers she feels adhere to this same style. A dancer herself, she is always researching and more importantly, preserving this style and sharing it with the Washington DC metro area out of her home studio in Kensington, MD. This sign was commissioned specially for us by our dear friend Joe Petrisco and designed by the artist Elvio Gervasi of Victorian Ornaments in Buenos Aires, Argentina. From this sign we created the logo for Caminito Amigo. About the Name "Caminito Amigo"
The name "Caminito Amigo" comes from the poem, "Caminito" ("Little Path") by Gabino Coria Peñaloza. Gabino's poem refers to a heartbroken Gabino, telling his friend, this little path, of his suffering since his love went away. He comes to the path one last time to say goodbye. "Caminito amigo yo tambien me voy" ("Little path, my friend, I am leaving too"). In 1955, this poem inspired local artist Benito Quinquela Martín to restore the La Boca neighborhood, then named La Curva, to the newly named neighborhood of Caminito. In so doing an enduring city landmark was born.